Manuscript submitted April 11, 2011; resubmitted April 19, 2011; accepted May 11, 2011. AIM: This study aimed to analyze the outcome of pancreas and pancreas-kidney transplantations based on the comprehensive follow-up data reported to the International Pancreas Transplant Registry (IPTR). METHODS: As of December 2010, more than 35,000 pancreas transplantations have been reported to the IPTR: more than 24,000 transplantations in the US and more than 12,000 outside the US. Cases with follow-up information until March 2011 were included in the analysis. RESULTS: Pancreas transplantations in diabetic patients were divided into 3 categories: those performed simultaneously with a kidney (SPK) (75%), those given after a previous kidney transplantation (PAK) (18%), and pancreas transplantation alone (PTA) (7%). The total number of pancreas transplantations steadily increased until 2004 but has since declined. The largest decrease was seen in PAK, which decreased by 50% from 2004 through 2010. Comparatively, the number of SPK decreased by 7% during this time. Era analysis of US transplantations between 1987 and 2010 showed changes in recipient and donor characteristics. Recipient age at transplantation increased significantly as well as transplantations in type 2 diabetes patients. The trend over time was towards tighter donor criteria. There was a concentration on younger donors, preferable trauma victims, with short preservation time. Surgical techniques for the drainage of the pancreatic duct changed over time, too. Now enteric drainage is the predominantly used technique in combination with systemic drainage of the venous effluent of the pancreas graft. Immunosuppressive protocols developed towards antibody induction therapy with tacrolimus and MMF as maintenance therapy. The rate of transplantations with steroid avoidance increased over time in all 3 categories. These changes have led to improved patient and graft survival. Patient survival now reaches over 95% at one year post-transplant and over 83% after 5 years. The best graft survival was found in SPK with 86% pancreas and 93% kidney graft function at one year. PAK pancreas graft function reached 80%, and PTA pancreas graft function reached 78% at one year. In all 3 categories, early technical graft loss rates decreased significantly to 8-9%. Likewise, the 1-year immunological graft loss rate also decreased: in SPK, the immunological 1-year graft loss rate was 1.8%, in PAK 3.7%, and in PTA 6.0%. CONCLUSIONS: Patient survival and graft function improved significantly over the course of 24 years of pancreas transplantation in all 3 categories. With further reduction in surgical complications and improvements in immunosuppressive protocols, pancreas transplantation offers excellent outcomes for patients with labile diabetes. The goal of pancreas transplantation is to restore normoglycemia in patients with labile diabetes, and to ameliorate or prevent secondary diabetic complications. The results of this procedure improved over the years. However, while pancreas transplantation is not considered experimental anymore, there is often reluctance to recommend this procedure to patients because of its complexity and risks, especially for solitary pancreas transplants. From December 16, 1966, through December 31, 2010, more than 37,000 pancreas transplantations have been reported to the International Pancreas Transplant Registry (IPTR), including more than 25,000 from the US and more than 12,000 from outside the US. In the US, reporting of outcomes is mandatory. Therefore almost complete follow-up is available for those transplantations. For transplantations performed outside the US, follow-up information was not available for all contributing centers at the time of analysis, and will not be presented to avoid possible biases. This study aimed to evaluate the outcome of 25,000 pancreas transplantations performed during 44 years from December 16, 1966, through December 31, 2010. Cases with follow-up information as of March 2011 were included in the analyses. Pancreas grafts were considered functioning for as long as the recipients were totally insulin independent, and death with a functioning graft was considered as graft failure. In some analyses, technical failure and pancreas graft primary non-function cases were excluded. The remaining cases were considered technically successful. Outcomes in patients who died with a functioning pancreas were censored at the time of death to describe the immunological outcome. Technical failures were defined as primarily early graft losses attributed to vascular thrombosis or removal because of bleeding, anastomotic leaks, pancreatitis, or infection. Kidney grafts were considered functioning as long as the patients on dialysis before transplantation were dialysis-free afterwards, or as long as their post-transplant serum creatinine level was below the pre-transplant level. In univariate analyses, p-values were calculated by log-rank (L-R) tests, and refer to the significance of the long-term differences between the overall survival. Cox proportional and non-proportional hazard models were used to investigate the independent influence of risk factors for patient survival and graft function. For the estimation of patient survival, time-dependent covariates were added. Adjusted survival curves based on the Cox models were used to estimate half-lives. All statistics were performed using SAS version 9.2 (SAS Institute, Cary, NC) or SPSS version 18.0 (SPSS Inc, Chicago, IL). The total number of pancreas transplantations in the US reported to IPTR/UNOS from December 16, 1966, through December 31, 2010 was 25,030 (Figure 1). After a constant increase in the number of transplantation cases, the overall number started to decrease in 2005. Figure 1. Annual number of US pancreas transplantations reported to UNOS/IPTR, 1966-2010. The number of pancreata used in multivisceral transplantations performed simultaneously with liver, intestine, and/or kidney increased significantly over the analyzed time period. They accounted for 7-8% of all transplanted pancreata. In the case of multivisceral transplantations, the reason for the transplantation was not related to diabetes, Therefore, those transplantations were excluded from further analyses. In 2010, a total of 130 US centers reported that they had performed at least 1 pancreas transplantation. Only 1 center reported more than 50 pancreas transplantations, but 83 centers (64%) reported fewer than 10 transplantations in this year. In terms of the 3 major pancreas transplant categories, 122 centers (94%) performed at least 1 simultaneous pancreas-kidney (SPK) transplantation; 71 centers (54%) at least 1 pancreas after kidney (PAK) transplantation; but only 36 centers (28%) at least 1 pancreas transplantation alone (PTA). In the same year, only a third of the US centers (n = 45) reported a retransplantation of pancreas or pancreas-kidney. Of those 43 centers, two-thirds (n = 30) performed only 1 retransplantation. Most pancreas transplantations (96%) were performed in patients with diabetes as the underlying disease. Overall, SPK transplantations accounted for 72%, PAK for 17%, and PTA for 7%. Of the 21,236 pancreas transplantations in the major categories (SPK, PAK, PTA), 72 (0.3%) used segmental grafts from living donors (LDs). Of the LD pancreas transplants, 25 were solitary transplants (12 PTA, 13 PAK), while 47 were in combination with a kidney from the same donor. LD transplantations were performed at only 3 centers in the US. In the LD SPK category at 1 year, the patient survival rate and the kidney graft function rate were both 100%, while the pancreas graft function was 83%. The 5-year pancreas graft function rate reached 68%. In 17 recipients, the pancreas graft was reported to be functioning more than 10 years post-transplant. Since 2004, the overall number of pancreas transplantations in the 3 major categories has been steadily declining. An overall decrease of 20% was observed in 2010, when compared with 2004. The largest decline was seen in the PAK category (55%), followed by PTA (30%) and SPK (8%) (Figure 2). Figure 2. Annual number of US pancreas transplantations for the major recipient categories, 1988-2010. The absolute number of pancreas retransplantations increased over time (Figure 3A). The largest increase was seen in PAK. The majority were pancreas retransplantations in primary SPK patients who had a functioning kidney, but a failed pancreas graft. The absolute number of SPK and PTA transplantations was low, but showed a steady increase. In 2010, PAK retransplantations accounted for over 35% of all PAK transplantations (Figure 3B). Figure 3. Annual number (A) and rates (B) of US pancreas retransplantations, 1988-2010. The gender distribution remained relatively constant over the analyzed time period. Around 60% of PAK and SPK recipients were male, while only 42% of males received a PTA (p < 0.0001). This showed a constant tendency for female diabetic patients to correct their metabolic control earlier than male patients. Recipient age increased over time and more and more older patients received a pancreas transplant (Figure 4). The significant increase in age was noticed in all 3 categories. Previously, PTA recipients were the youngest and PAK were the oldest, but currently these differences are not as clearly defined. From 2006 to 2010, 39% of SPK recipients were 45 years or older and only 7% were younger than 30 years. In the PAK category, 45% were 45 years or older but only 5% were younger than 30 years. In the PTA category, 38% were older than 45 years of age but 13% were younger than 30 years of age. Two percent of recipients were 60 years of age or older at time of transplantation. Most of these older patients received a SPK (63%). PAK patients were on average older than SPK and PTA recipients (p < 0.02) . The distribution of recipient age for SPK and PTA was not statistically different. Figure 4. Box plots of patient age at the time of transplantation for all 3 transplant categories (simultaneous pancreas kidney (SPK), pancreas after kidney (PAK), and pancreas alone (PTA) transplantation) 1988-2010. 25th and 75th percentiles are at the ends of the box and the median is shown as the horizontal line inside the box. ° describes outlier. Over the analyzed time period, the reasons for pancreas transplantations changed. The majority of transplantations reported diabetes as underlying disease. Other kinds of diseases like cancer or pancreatitis accounted for only 0.2% of all primary pancreas transplantations in the 3 major categories. In 1994, the type of diabetes in pancreas transplantations was recorded for the first time. Since then, the overall rate of patients categorized as type 2 diabetics increased from 2% in 1995 to 7% in 2010 (p < 0.0001) (Figure 5) . In 2010, approximately 8% of SPK, 5% of PAK, and 1% of PTA were performed for type 2 diabetics. 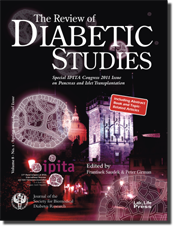 In PAK and SPK categories, patients with type 2 diabetes were significantly older (p < 0.0001) than patients with type 1 diabetes at the time of transplantation. No difference in age between type 1 and type 2 diabetes could be detected in PTA recipients (p = 0.65). Figure 5. Annual rates of US pancreas transplantations in patients with type 2 diabetes, 1994-2010. The duration of diabetes until initial transplantation was significantly longer for recipients with type 1 diabetes (p < 0.0001). The reported duration was 28 ± 8 years for type 1 diabetes and 22 ± 8 years for type 2 diabetes. Furthermore, more males than females with type 2 diabetes underwent a pancreas transplantation (67% males vs. 33% females). As expected, recipients with type 2 diabetes had a significantly higher body mass index (p = 0.0001). In all 3 major pancreas transplant categories, panel-reactive antibody (PRA) levels were comparable. We could detect a small increase in patients with class 1 PRA levels over recent years. For the last 5 years ~7% of all transplant recipients have had class 1 PRA levels over 20%. The wait-time analysis was only performed for patients who actually received a transplant, and did not include patients who are still waiting. The time on the transplant waitlist was the shortest for PTA recipients and the longest for SPK recipients. Median time until a PTA patient received the pancreas transplant was 110 days, and 243 days for a SPK patient. For the last 5 years, 83% of all PTA recipients, but only 64% of all SPK recipients, received their organs during their first year on the waitlist. With the decrease in the number of transplants, a small decrease in the average wait-time could be detected. This was most noticeable in solitary transplants. There was a clear correlation between PRA levels and wait-time; in all 3 categories the wait-time for sensitized patients was significantly longer (p < 0.0001). Figure 6 shows the trend in deceased donor (DD) age at transplantation. The age distribution did not differ between solitary and SPK donors over time. In both categories, the range of accepted donor ages narrowed. Only 6% of DDs were 45 years of age or older, only 7% were 14 years or younger . Figure 6. Donor age for simultaneous pancreas kidney (SPK) and solitary transplantations (PAK & PTA), 1988-2010. 25th and 75th percentiles are at the ends of the box and the median is shown as the horizontal line inside the box. ° describes outlier. Significantly more male than female donors were accepted. For most of the male donors, trauma was the reported cause of death (86%) and their age at donation was significantly younger. The proportion of donation after cardiac death (DCD) increased steadily in recent years and accounted for over 4% of pancreas donations in 2010. DCD donors were more frequently accepted for SPK than for solitary transplants. The distribution of the causes of death of DCD donors is identical to that of regular donors (p = 0.90). Figure 7 shows the development in preservation time. Over the analyzed period, a general trend to shorter preservation times was noticed. In the last 5 years, more than 50% of all transplants reported a preservation time under 12 hours. Figure 7. Preservation time in hr for simultaneous pancreas kidney (SPK) and solitary transplantations 1988-2010. 25th and 75th percentiles are at the ends of the box and the median is shown as the horizontal line inside the box. ° describe outliers. The changes in HLA matching are shown in Figure 8. Initially the number of HLA-A, -B, or -DR mismatches was lowest in solitary transplants, but over time minimal attention was given to HLA matching. In 2010, no differences in mismatches across the 3 categories were detected. Over 57% of all transplantations were reported to be performed with 5 or 6 mismatches. Figure 8. Rates of 5 and 6 HLA-A, -B, -DR mismatches, 1988-2010. The surgical techniques for duct management changed from bladder drainage (BD) to enteric drainage (ED) over time (Figure 9). ED is now used in the majority of transplants. In 2010, ED was used in 91% of SPK, 89% of PAK, and 85% of PTA patients [4, 5]. In the enteric drained transplants, systemic venous drainage was performed in the majority of cases (Figure 10). The initial promise of portal drainage was not fulfilled. In 2010, it accounted for only 18% in SPK and PAK, and for 10% in PTA. Figure 9. Rate of enteric drainage in pancreas transplantations in the US, 1988-2010. ED: enteric drainage. Figure 10. Rate of portal vein drainage in enteric drained pancreas transplantations in the US, 1988-2010. The type of induction therapy given to pancreas transplant recipients changed over time. In 2010, almost all transplant recipients received some form of antibody induction therapy (Figure 11) . No differences across the 3 categories were found. The induction therapy consisted mostly of depleting antibody therapy. Whilst initially, non-depleting antibodies seemed promising, the rate of their use has declined to under 10% within the last 5 years. Figure 11. Rate of antibody induction therapy in pancreas transplantations in the US, 1988-2010. Over the time, a large variety of maintenance protocols were used, with almost all possible combinations of maintenance drugs. The use of these protocols was similar in all 3 categories. The most widely used maintenance protocol was based on tacrolimus (TAC) and mycophenolate mofetil (MMF), which was accompanied with an improvement in outcome. In the last 5 years, this protocol was applied in more than 80% of SPK cases. It was also the most widely used protocol in solitary transplantations. A growing number of recipients received a protocol based on sirolimus, either alone or in combination with other immunosuppressive drugs. In PTA, this protocol was used in 20% of all cases. In recent years, more and more maintenance protocols have avoided the use of steroids . In one-third of all SPK recipients, the patient was discharged after transplantation without maintenance steroid use. This rate was slightly higher in solitary transplantations, accounting for 46-48% of transplantations. The survival rate of patients who received primary DD pancreas transplants has constantly improved in the last few decades and reached more than 95% at 1 year post-transplant in all 3 categories for transplantations performed in 2009. At 5 years post-transplant, the unadjusted patient survival rate reached 87% in SPK, 83% in PAK, and 89% in PTA. At 10 years post-transplant, more than 70% of recipients were reported to be alive. The highest patient survival rate was found in PTA recipients, with a 10-year patient survival rate of 82%. In all 3 categories, cardio-/cerebrovascular (CCV) problems as well as infections were the leading causes of early and late death. Death due to infection peaked between 3 and 12 months post-transplant. In SPK and PAK recipients, the rate of CCV-related deaths did not change, but in the PTA category, it decreased over time. The initial rate of malignancies was low, but accounted for 7% of all deaths that occurred after 1 year post-transplant . Pancreas and the combined kidney graft function improved significantly over time. One-year primary SPK pancreas graft function increased from 77.2% in 1987-1993 to 85.5% in 2006-2010 (Figure 12A). For the pancreas transplant, significant progress was found between the years 1987-93, 1994-97, and 2002-10. There was no difference for the results of the years 2002-05 and 2006-10 (p = 0.99). For SPK recipients who reached the 1-year mark, no more improvements were noticed between the different eras (Figure 13A). Figure 12. Primary deceased donor graft function over 5 eras for simultaneous pancreas kidney (SPK) pancreas graft (A), SPK kidney graft (B), pancreas after kidney (PAK) pancreas graft (C), and pancreas transplant alone (PTA) pancreas graft (D). Figure 13. Primary deceased donor (DD) graft function for recipients who reached the 1-year mark with a functioning graft over 5 eras for simultaneous pancreas kidney (SPK) pancreas graft (A), SPK kidney graft (B), pancreas after kidney (PAK) pancreas graft (C), and pancreas transplant alone (PTA) pancreas graft (D). The combined SPK kidney graft function improved from 85.0% in 1987-1993 to 93.4% in 2006-2010 (Figure 12B). Most improvements were noticed between 1987-93 and 1994-97. No progress was found from 2002 onwards (p = 0.90). For 1-year SPK kidney grafts, most improvements were noticed between 1987-93 and 1994-97 (Figure 13B). The improvement of PAK graft function was highly significant over the analyzed eras (p < 0.0001). The 1-year graft function increased from 53% in 1987-93 to 79.9% in 2006-10 (Figure 12C). Most progress was found between 1987-93 and 1994-97. From 1998 onwards, the improvements were only minimal. In contrast to SPK transplants, the PAK graft function was clearly distinct for recipients who reached the 1-year mark (Figure 13C). In particular, transplantations performed from 1998 onwards showed superior outcomes (p < 0.0001). From an immunological point of view, the most difficult transplantations were PTAs. Here too, the results improved significantly over time. One-year graft function rose from 51.5% in 1987-93 up to 77.8% in 2006-10 (p < 0.0001) (Figure 12D). The most progress was made in the first 10 years. The differences between the years 1998-01 and 2006-10 did not achieve statistical significance. For PTA transplants that reached the one1-year mark, progress was noticed between early transplantations performed between 1987 and 1997 and transplantations performed between 1998 and 2010 (Figure 13D). Technical failure rates decreased significantly over time, even with the increase of transplantations in high risk patients (Figure 14). While in early years the technical failure rate in PTA was significantly higher, which may include misdiagnosed immunological graft loss, in 2008-09 no difference could be found between the categories. The overall technical failure rate was 8-9%. The most frequent reason for technical failure was graft thrombosis, followed by infections and pancreatitis. Leaks and bleeding were infrequent reasons for graft loss. Figure 14. Rate of early technical graft failure in primary deceased donor (DD) transplantations, 1988-2010. Immunological graft loss is still a problem in pancreas transplantation and requires further investigation. Figure 15 shows the decreased incidence of 1-year immunological graft loss in all 3 categories. While significant progress was made especially in solitary transplantations, the most recent 1-year graft loss rate in PAK (3.7%) and PTA (6.0%) was significantly higher than the one in SPK (1.8%). Figure 15. One-year immunological graft loss technically successful in primary deceased donor (DD) transplantations, 1988-2010. Univariate analysis of different duct management techniques did not show any impact on overall patient survival or pancreas graft function (p ≥ 0.5). The only noticeable differences involved early technical failures. In all 3 categories, the technical failure rate was higher in ED than in BD transplant recipients. Table 1 shows the half-lives of transplantations performed between 1987 and 2001. The outcomes of primary SPK pancreas and kidney graft with half-lives clearly over 10 years are excellent. The outcomes in primary solitary pancreas transplantations did not reach those of SPK. For transplantations performed between 1998 and 2001, PAK reached 76 months and PTA 71 month. For transplantations that reached the 1-year mark, the half-lives did almost reach the 10-year mark. Half-lives for more recent transplantations could not be estimated. Based on the improved outcomes seen until 2001, they are expected to further improve. Legend: SPKT: simultaneous pancreas kidney transplantation. PAKT: pancreas after kidney transplantation. PTA: pancreas transplantation alone. In all 3 categories, the variables with the highest impact on mortality were those describing the status of the graft (Table 2). A failed pancreas graft increased the relative risk (RR) by 3 to 4-fold for SPK and PAK, but 11-fold in PTA. Independently, the RR of death increased almost 17-fold, in SPK and PAK recipients whose kidney graft failed. This demonstrated the importance of a functioning kidney in diabetic patients. The RR of death increased in recipients who were 45 years or older, but did not significantly decrease in recipients who were 15 to 29 years old. The RR of death was significantly increased in SPK recipients who were on pre-transplant dialysis. The duct management technique did not have a significant impact on patient survival. In the PAK category, the use of a previous LD kidney, compared with a DD kidney, significantly reduced the RR of death. Legend: SPKT: simultaneous pancreas kidney transplantation. PAKT: pancreas after kidney transplantation. PTA: pancreas transplantation alone. RR: relative risk. Tx: transplantation. LD: living donor. BD: bladder drainage. ED enteric drainage. NS: not significant. RRs of pancreas graft failure are shown in Table 3. In the SPK category, immunosuppressive regimen and donor factors had the highest impact on graft outcome. Recipients whose donors were young trauma victims had excellent outcomes. Extended preservation time was also associated with an increased RR. Short preservation time was associated with a decreased RR of pancreas graft failure. No difference between BD and ED transplantations could be found. Induction and maintenance therapy had a strong impact on graft outcome. Depleting antibody induction and a maintenance protocol based on tacrolimus and MMF or sirolimus significantly decreased the RR of graft failure. Steroid avoidance did not show any impact on outcome. Sensitized patients with class 1 PRA over 20% had an over 50% higher risk of losing their graft than patients with a lower PRA level. Legend: SPKT: simultaneous pancreas kidney transplantation. PAKT: pancreas after kidney transplantation. PTA: pancreas transplantation alone. RR: relavite risk. C1: class 1. PRA: panel-reactive antibody. Tx: transplantation. BD: bladder drainage. ED enteric drainage. TAC: tacrolimus. MMF: mycophenolate mofetil. NS: not significant. In the PAK category, good donor selection and immunosuppressive regimen had the highest impact on outcome. Young donors significantly improved graft outcome, whilst preservation time did not seem to have an effect. Induction therapy with depleting or non-depleting antibodies showed no impact, but maintenance therapy based on both tacrolimus and MMF and sirolimus had significantly better outcomes. Steroid avoidance protocols did not have an effect on outcome. Recipients 45 years or older had significantly better graft function than recipients between 30 and 44 years of age. Increased PRA levels were not significant. In the PTA category the RR of graft failure was significantly increased in younger recipients and in BD transplantations. While induction therapy did not seem to have a significant positive effect, the maintenance protocol based on tacrolimus and MMF or sirolimus did have. Of note is the trend for increased RR for transplantations using a protocol of steroid avoidance, although this result did not achieve statistical significance . Over the last decades, patient survival and graft function has improved significantly in all 3 pancreas transplantation categories. For 2006-10 transplantations, the 3-year patient survival rate exceeded 90% in all 3 categories. The 3-year pancreas graft survival rate reached almost 80% in SPK. IPTR follows more than 3,300 patients with more than 10 years of pancreas graft function. Of those 3,062 had SPK transplantation, 216 PAK transplantation, and 101 had PTA. Long-term pancreas graft function in solitary transplantations also improved, but did not reach SPK success rates. The problem after solitary transplants is still the increased rate of immunologic graft loss. Over time, more and more transplantation centers have performed pancreas transplantations, but most centers have only considered SPK candidates. The higher immunologic graft loss rate may have discouraged centers from performing solitary pancreas transplantations, and may have been one of the reasons for the decline in the number of these transplantations. In particular, the application of PAK transplantations is especially attractive. Studies after living donor kidney transplantations could show the metabolic advantage of a subsequent pancreas transplantation. Of advantage is the shorter wait-time and the possible avoidance of dialysis. Overall, the improvement in the field of pancreas transplantation is especially encouraging since the spectrum of recipients accepted for transplants is widening. Disclosures (conflict of interests statement): The author reported no conflict of interests. Islet xenotransplantation: what is the optimal age of the islet-source pig? Has the gap between pancreas and islet transplantation closed? Is there a role for surgery in the treatment of type 2 diabetes? Pancreatic autoantibodies after pancreas-kidney transplantation - do they matter? Stem Cell-Derived Beta Cells for Treatment of Type 1 Diabetes? Therapeutic cell encapsulation techniques and applications in diabetes. What would surgeons like from materials scientists? Trends in immunosuppression after pancreas transplantation: what is in the pipeline? Diabetes treatment in 2025: can scientific advances keep pace with prevalence?